Cracked or chipped windshield? No problem. California Auto Glass Inc and Window Tint has you covered. 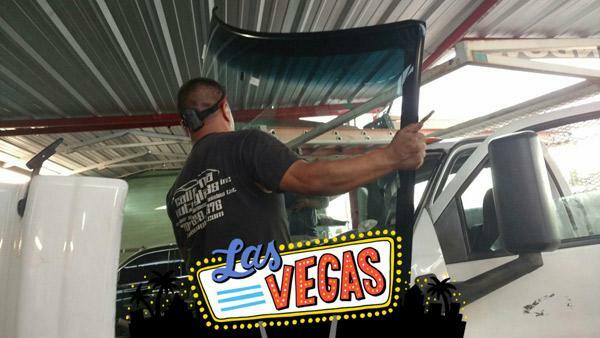 With over 20 years experience in fixing your winshield cracks and windshield chips, broken car and truck mirrors, we are the real autoglass experts in Las Vegas, Nevada. We offer a full service of autoglass replacement and repair services, including mobile glass service, for your greatest convenience. Same day in-shop and mobile service car and truck glass repair and replacement with expert installation. Visit one of our locations on Las Vegas Bld, or Washington Drive! See Contact page for directions. We are AGRSS and SIKA certified! Contact California Auto Glass Inc and Window Tint today at 702-878-7002 to ask about our same day mobile glass repair services, or to make an appointment.